These young entrepreneurs continue to prove to their selves that anything is possible. Great flavor makes great food, but a great dining experience will definitely win the heart of the foodie. 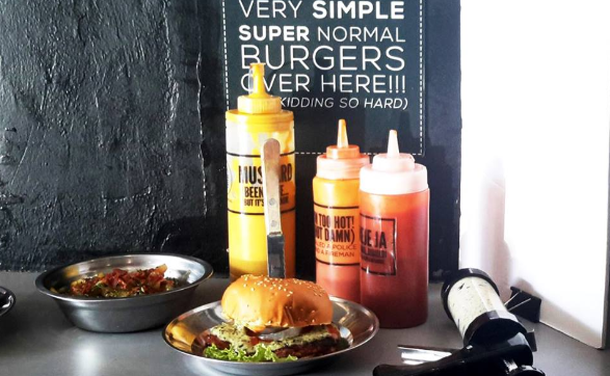 Big B has kept this in mind since its inception, distinguishing itself in a market already saturated with countless burger joints. 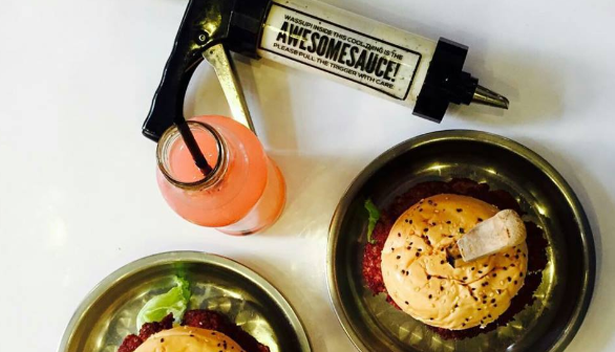 The food joint’s best seller, the Big B burger, comprises of a patty made of 50% ground chuck fatty beef and 50% bacon, grilled and packed between whole-wheat sesame buns. The Big B was born from a series of fun kitchen experiments and inspiration from the Internet. “When we were students, we always looked for a restaurant that served great food we can bond over without worrying about our wallets,” Joelle Yuviengco, one of Big B’s founders shares. Yuviengco and her boyfriend, Erik Galvez, were only cooking burgers at home for fun when they decided to start selling them to friends who were also attending college at the University of the Philippines—Diliman. The duo had no culinary background; Galvez was taking Physics and Yuviengco was majoring in Speech Communication, but they surprisingly charmed their friends’ palate and started taking orders for delivery from customers in and around the university. Word of mouth eventually made the business popular in the campus. This motivated them to set up booths in small hangout places and in school fairs. 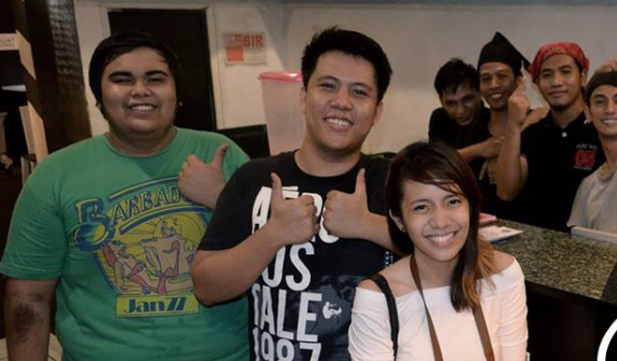 The trio opened their first branch along Magiting St., in Quezon City a year after focusing on food delivery. Big B has constantly won students and yuppies alike by its friendly prices and exciting flavors; customers are able to enjoy a quarter-pounder with drinks and fries for only P150. They also developed and introduced three more combinations using their 50-50 formula: Bam (beef and spam), Bongga! (beef and longganisa) and Baus (beef and sausage). 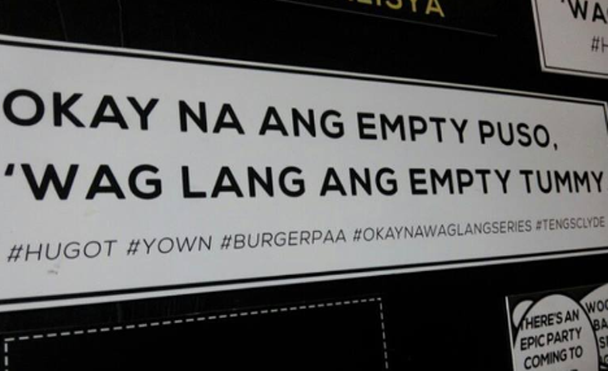 The hole-in-the-wall joint exudes the same playfulness Yuviengco and Galvez had with burgers, with witty remarks around the restaurant becoming a source of entertainment for guests: knock-knock jokes printed on the containers of their condiments and a wall of hugot lines, creating a youthful ambiance. Customers are sure to have a hearty laugh with their interactive servers who “perform” when bringing in orders of pink lemonade glasses with feelings. Their playful and bold ways earned them more customers, resulting in two more branches located in Sampaloc, Manila—near the University of Sto. Tomas—and another near the campus of the University of the Philippines, Los Baños (in Laguna). While the team managed to grow even without any culinary and business background, Galvez and Bagadion now want to take their burgers to another level. They are now attending culinary school.